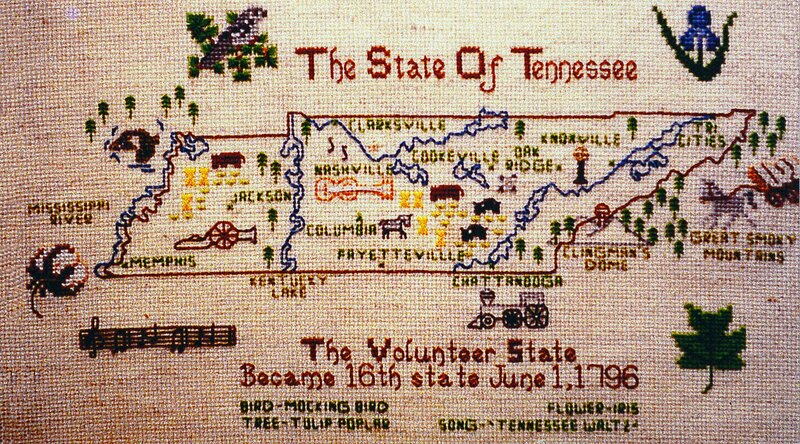 My Tennessee Home stitch count. Design size: 163 x 75. 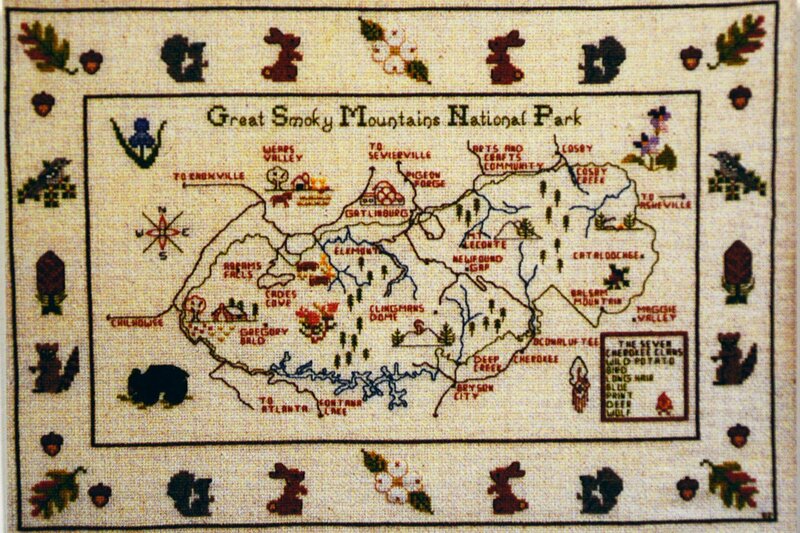 GSMP Kit contains fabric, pattern, instructions, needle and floss. 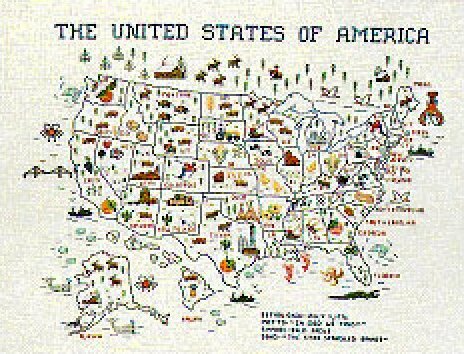 United States Map by Joanne Overstreet Chart Pak. 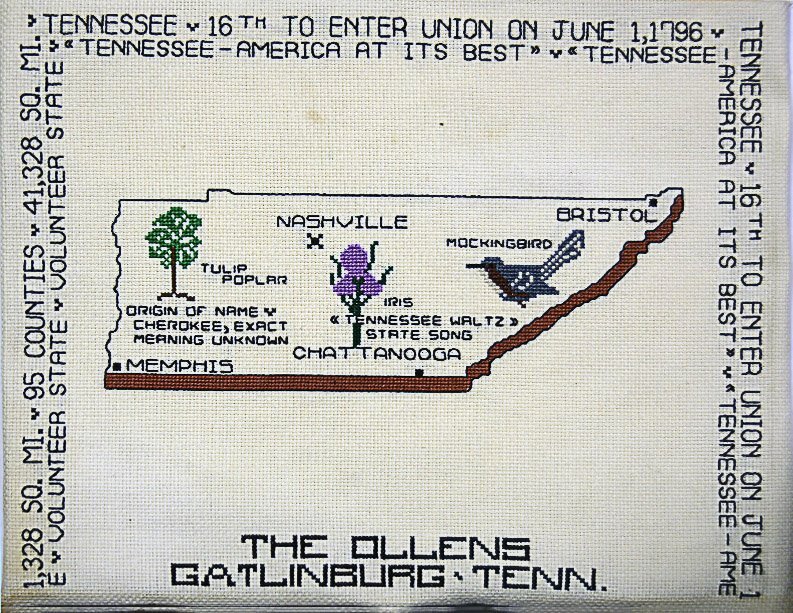 Map of United States Kit contains pattern, fabric, DMC floss, instructions, and needle. Sate maps by State Pride Series. 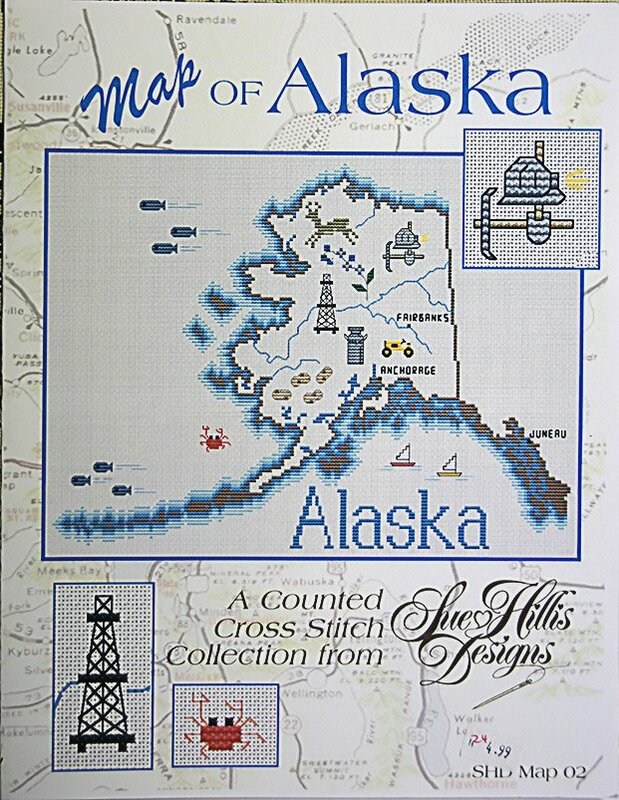 Counted Cross Stitch Charts. Stitch counts are approximately 200 x 160. Selected states are in the drop-down box. Missouri and Idaho are the only states in this series. 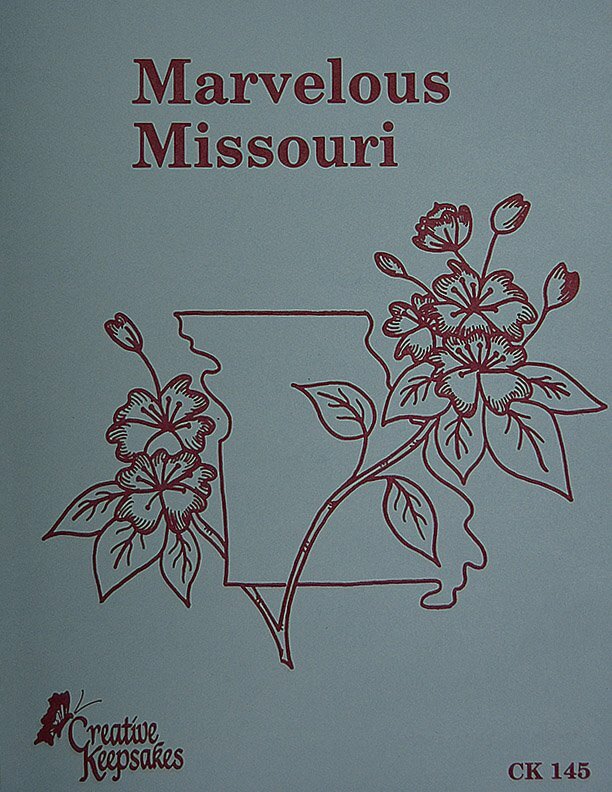 State Maps by Sue Hillis Designs. Average stitch count is 175 x 117. Use drop-down box to view other states. 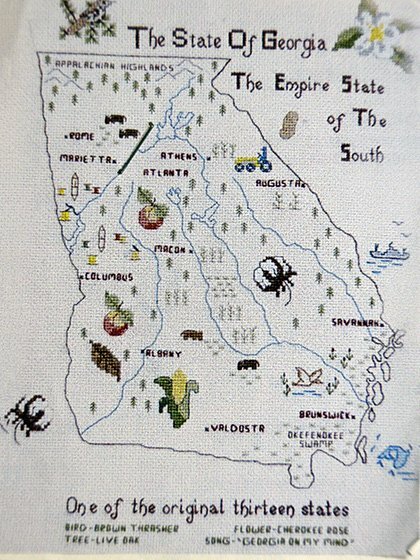 Georgia Map stitch count is 200 x 140.